These two trends define life in Western society today. We are increasingly addicted to habits—and devices—that distract and "buffer" us from substantive reflection and deep engagement with the world. And we live in what Canadian philosopher Charles Taylor calls "a secular age"—an age in which all beliefs are equally viable and real transcendence is less and less plausible. Drawing on Taylor's work, Alan Noble describes how these realities shape our thinking and affect our daily lives. Too often Christians have acquiesced to these trends, and the result has been a church that struggles to disrupt the ingrained patterns of people's lives. 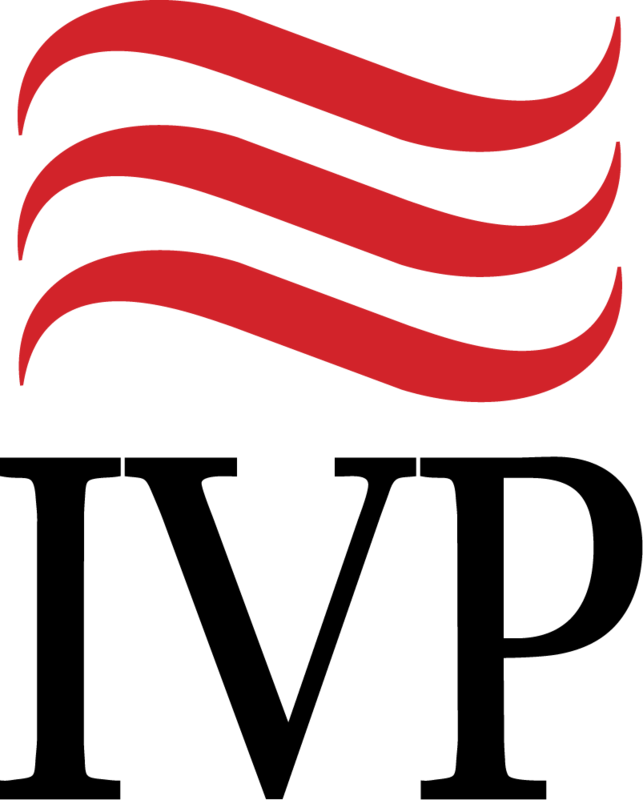 "If you want to know what the next generation of evangelicalism could and should look like, look to Alan Noble. Grounded, faithful, and circumspect, he is asking all the right questions and leading us to better answers." "Building on the work of philosopher Charles Taylor in A Secular Age, Alan Noble deftly describes unique modern barriers to life lived with and for the Triune God and calls fellow Christians to a better, full-bodied witness. Noble’s teaching gives me hope for the possibility of enfleshed Christian witness in an age that is prone to mostly shrug at ultimate questions. It will also leave more than a few of us disrupted ourselves." "In our current cultural moment where self is at the center, distraction is the norm, and faith is anything you want it to be, fresh formation and evangelistic strategies are sorely needed. Instead of laboring to help friends, colleagues, and neighbors to merely feel safe and comfortable with our faith, perhaps it’s time to consider a return to the New Testament way. For although the world has changed, the human need has remained the same—for grace and truth, for love and law, for a culture of kindness and a call to repent, for provision of comfort and prophetic disruption. In Disruptive Witness, Alan does a terrific job of painting a picture of what this can look like for us. I highly recommend his work to you." "Alan Noble has written a concise and timely meditation on the conditions under which Christian witness may be pursued in our age and place. This book is real food for real thought." "Helpfully situating the peculiar travails and challenges to belief and fidelity in the contemporary moment, Alan Noble invites us to practice a life in Christ deeper than the fragile faith-as-preference model, which our distracted, secular age constrains us to adopt. Instead, he calls us, as both individuals and as the church, to thoughtfully contemplate our walk and our witness to Christ, so that we might not be heedlessly swept away in the patterns of thought and practice of this age. It’s an appeal worth attending, not only for its clarity and urgency, but because it is one I’ve seen Alan embody for years in his own faithfully disruptive life and witness." "In an age of distraction and the 'buffered self,' perhaps this is more a time for preparing the soil than for reaping. In any case, Alan Noble displays the disruptive resources of Christ's kingdom that are at hand. I will be recommending this book far and wide!" 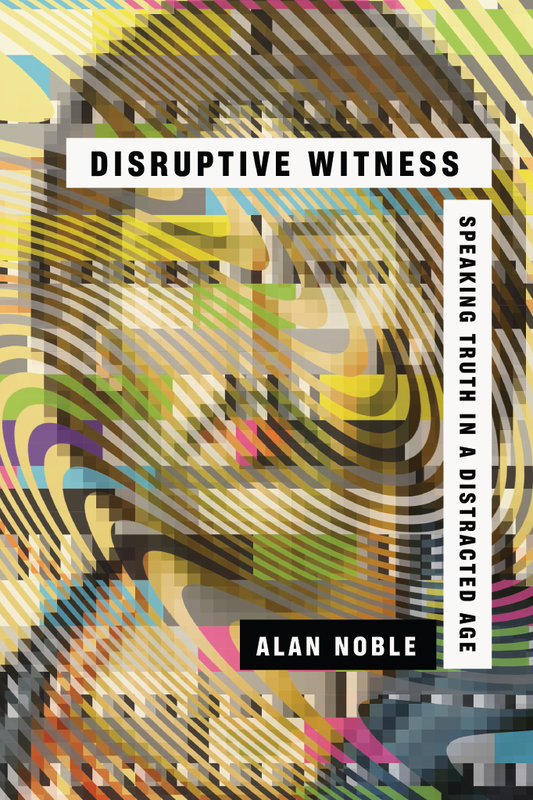 "In Disruptive Witness, Alan Noble examines the unique barriers to communicating a transcendent gospel in our distracted, secular age, directing his keen cultural analysis toward a most admirable end—evangelism. And yet, these insights into how our neighbors now process—or are unable to process—the claims of historic Christianity also apply to the fragmented, secularized people in our pews. In this regard, Noble's work will have special value to ministry leaders and pastors such as myself who are called to be disrupters and disciplers of those who, in turn, must embody a witness that 'unsettles people from their stupor.' I felt challenged by the book as a preacher, liturgist, shepherd, evangelist, father, and neighbor. You will be richly challenged by it too." "The title of the book, Disruptive Witness: Speaking Truth in a Distracted Age, is its thesis and prescription. How do you understand, and then speak into our distracted and secular age? Noble says with disruptive witness. Following in the path of Schaeffer, Myers, Wells, Guinness, Sire, Smith, and others, Noble offers keen analysis of the situation we are living in and helpful reflection on how both to resist and engage it. This is a book I would love to read with colleagues, seminary students, pastors, church leaders, and educators, both as an insightful commentary on our culture, and as an example of how a younger generation of evangelical thinkers are assessing and addressing it." "Alan Noble is both a careful, clearheaded thinker, and a passionate advocate for truth in a post-truth culture. I can think of few people who would serve as better guides for navigating the complex and frustrating culture we inhabit. This book is a must-read for those hoping that the church can maintain a bold and faithful witness in the days to come." "While reading Disruptive Witness I got more than a little tired of Alan Noble reading my mind, diagnosing my issues, and jabbing at the nerves of my heart. Page after page he hit on issues of thought, habit, perspective, or lifestyle with which I struggle and in which I fail to be a proper witness for Jesus. Of course what I was really tired of was my own distracted, thin faith. And those are the very things this book helps. Noble clearly and gently diagnoses the problems first and then he offers robust solutions. Disruptive Witness is incisive, substantial, and encouraging for tired, frustrated believers looking for direction." "I puzzle a lot about how to bring the claims of the gospel to bear on a changing culture that regularly bewilders me. Now I find out in this book that Alan Noble checks his Twitter account before he gets out of bed in the morning, and he watches Netflix while doing the dishes. He also knows a lot about vampirism. And then he reflects on all of this in the light of what he has read by Charles Taylor, John Calvin, Jamie Smith, and Blaise Pascal. Wow! IMHO this book is awesome." 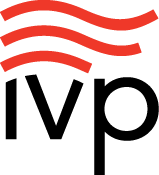 "I love Disruptive Witness. When my face keeps moving closer and closer to the page and I never put my pen down, an author's got me." "This is no lightweight read and could be most useful for mature Christians looking for re-invigorating spiritual experience." "Unencumbered by clichés or facile solutions Noble's book is a valuable contribution to the conversation about how to reach our lost world." "This accessible, timely book provides concrete strategies for individuals and churches desiring a robust 'disruptive' Christian witness in a distracted, secular age." 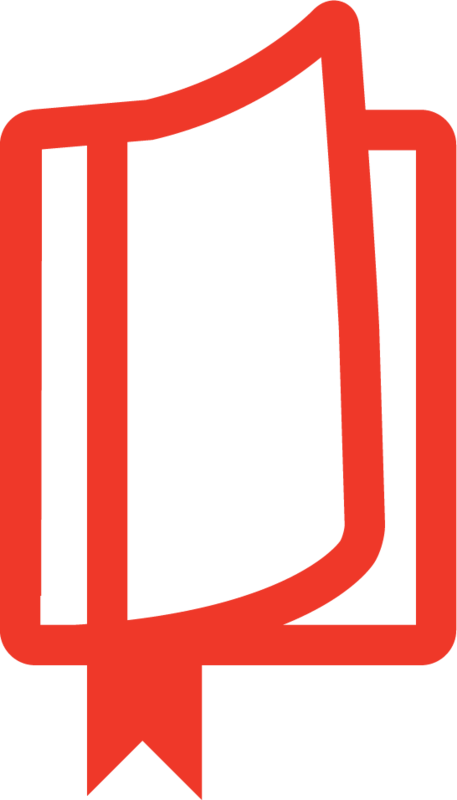 "Disruptive Witness is a timely, relevant work of cultural diagnosis, thought-provoking even if you don’t agree with all of Noble's prescriptions." "As a theologian of culture, Noble reminds us that Christian discipleship entails the habitual renewing of our minds, which is dependent on the power and work of the Holy Spirit. Even without the myriad distractions available to us, that work will never be easy or quick. It requires perseverance, patience, and time. With Disruptive Witness, Noble has plowed a stony field beautifully, allusively, and I am eager to see what harvest will emerge from the seeds." ★ Disruptive Witness has received a starred review in the highly-respected book industry magazine Publishers Weekly. Read the full starred review here. 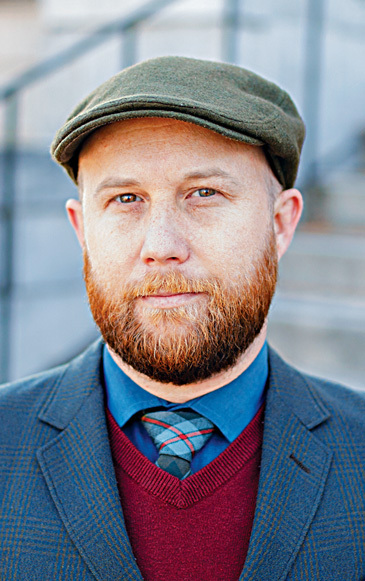 Alan Noble (PhD, Baylor University) is assistant professor of English at Oklahoma Baptist University and cofounder and editor in chief of Christ and Pop Culture. He has written for The Atlantic, Vox, BuzzFeed, The Gospel Coalition, Christianity Today, and First Things. He is also an advisor for the AND Campaign.